The Ulverscroft Foundation is pleased to have funded publication of the 5th edition of Eye Diseases in Hot Climates by Saul Rajak and John Sandford-Smith. This well-established clinical textbook covers the spectrum of eye disorders but with a focus on the major preventable and treatable causes of blindness in developing countries. Written specifically to address the information needs of doctors, nurses and medical assistants involved in managing eye patients in tropical and developing nations, the book’s practical approach is designed to support those working with limited specialist supervision and equipment. Introductory chapters on anatomy and physiology of the eye and clinical skills are followed by chapters devoted to specific conditions such as xerophthalmia, onchocerciasis, leprosy and HIV. Also included are chapters on paediatric eye disease and visual impairment, and a practical guide to the diagnosis of common eye disorders. 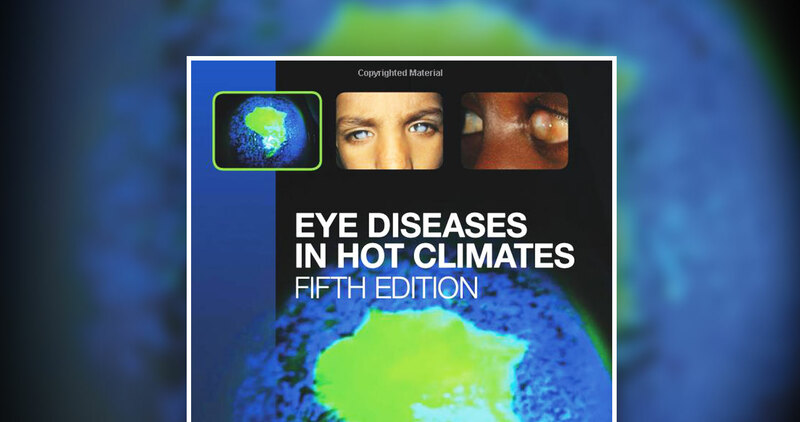 Thoroughly revised and updated both in terms of text and illustration, Eye Diseases in Hot Climates Fifth Edition continues to provide relevant, practical advice for health care providers caring for eye patients in nations where blindness and visual impairment remain prevalent. The book is £12 plus postage and is available from foundation@ulverscroft.co.uk. The French translation of the 4th edition of Eye Diseases in Hot Climates (Maladies oculaires sous les climats chauds) by John Sandford-Smith 2010. Published by FA Thorpe Publishing ISBN 978-1-4448-9999-3. This book is now FREE of CHARGE, plus postage and packing. To order copies of books, or for other enquiries please contact us.